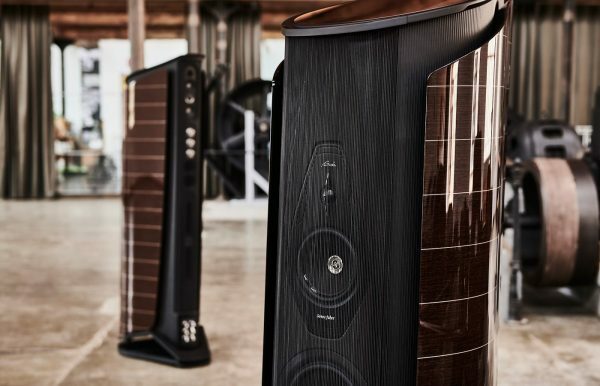 All the technological and stylistic experience of Sonus faber is condensed in Aida, la pinnacle of Sonus faber catalogue in which are expressed at their best elegance, refinement, but also, power and precision. 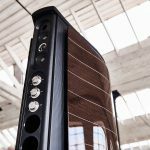 Their flagship maintains the name of the grandiose opera by Giuseppe Verdi; as the masterpiece of the Italian opera, Aida will be able to immerse the listener in a new dimension where the emotion of music has never been so realistic. 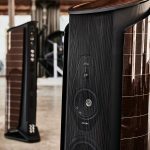 Aida can reveal how Sonus faber improved, always keeping its original intuition, the synthesis of tradition with technological innovation. 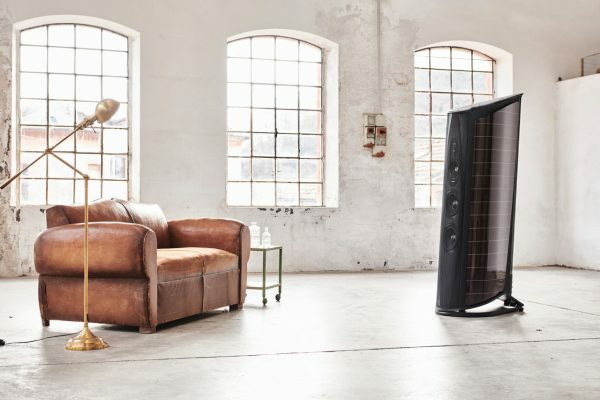 Don’t let the familiar face fool you: Aida maintains the typical lute shape and the typical design elements that made it so recognizable, has been completely overhauled, embracing the most advanced electroacoustic developments of the latest years. 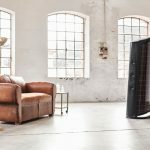 This “3 and 2/3 way” loudspeaker system features the patented “Stealth Ultraflex”, for a better bass extension, the “Anima Legata” system and the “Tuned Mass Dampers”, for maximum elimination of inner spurious vibration, the patented “Zero Vibration Transmission”, for saving the listening environment from the spread of vibration and for a better performance of the infrawoofer, and the “Sound Field Shaping” technology, for a new dimensionality of sound and perceived size of the sound-stage. The most radical among the new changes is the selection of all-new driver systems, all of them rigorously “made in Italy” and featuring a Neodymium motor system. 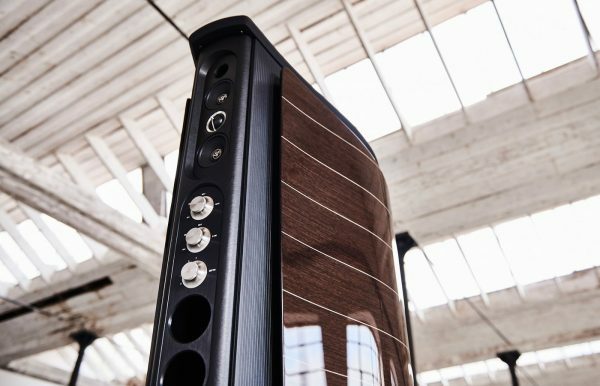 New combination of tweeter and midrange creates the “Voice of Sonus faber”, the iconic configuration of driver technology capable of maintaining the effortless, warm and involving timbre that has become our trademark thanks to the 28 mm tweeter with silk dome and “Arrow Point” DAD (Damped Apex Dome,the dampening system to avoid counter phase vibrations of the dome) and to the midrange with cellulose pulp cone and Neodymium motor system. Patented system that allows a big reduction of the THD (Total Harmonic Distortion) and a better bass extension while minimizing distortion and eliminating spurious vibration coming from the air passage inside the reflex duct. Aida Stealth Ultraflex system has a high ratio between width and height and allows reducing the dimensions of acoustic chambers. The TMD (Tuned Mass Damper) is a device normally used in the biggest world’s skyscrapers and consists in some suspended masses placed inside of the speakers; while vibrating in antiphase, the TMD erases main vibrations and allows a clearer bass reproduction and a better silence reproduction. The purpose of this technology is decoupling the loudspeaker system from the ground, avoiding spurious vibration to spread in the listening environment. Springs and elastomers are placed on the base; their decoupling compliance is carefully calculated in reason of the weight of the speaker and allows a more powerful performance of the down firing infrawoofer and a perfect tuning of the entire loudspeaker system.